Doctors used an ER patient's FitBit data to justify electrical cardioversion. A Fitbit Charge HR, the same model the patient was wearing. 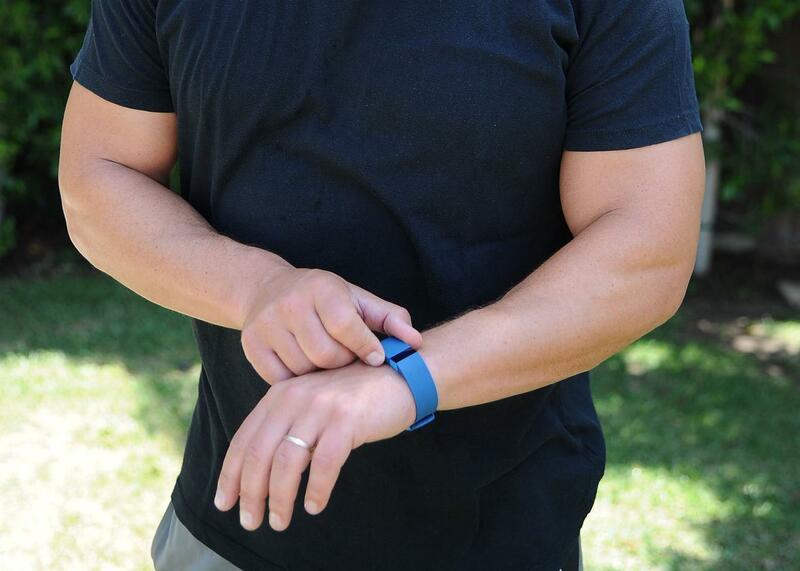 If your fitness tracker motivates you to walk/exercise more, that’s a good thing. But providing critical life-saving data in the emergency room would be a whole other level of usefulness. And for a 42-year-old New Jersey man who had a seizure at work, Fitbit data helped ER doctors choose the best treatment and possibly save his life. It’s the first time a fitness tracker has been used in this way, according to the Annals of Emergency Medicine, where the case report was published. (H/T to Gizmodo for spotting it.) The patient’s seizure lasted about one minute and may have occurred because he had forgotten to take his usual seizure-controlling medication that morning. Emergency medical services arrived and began treating him for rapid, irregular pulse rate while en route to Our Lady of Lourdes Medical Center in Camden, New Jersey. By the time he reached the ER, the patient’s mental state was normalizing and his only acute symptom was continuing rapid, irregular heartbeat. ER doctors were considering using electrocardioversion (that is, using low-voltage electric current to reset heart rhythm) to address his rapid heartbeat. It wasn’t clear, though, when it had started, and Our Lady of Lourdes administers this treatment only if the arrhythmia began within the last 48 hours because of the risk of complications. Enter Fitbit. The doctors used the patient’s Fitbit app (seemingly with his permission and help) to check his recent heart rate data. The application was accessed on the patient’s smartphone and revealed a baseline pulse rate between 70 and 80 beats/min, with an immediate persistent increase to a range of 140 to 160 bpm at the approximate time of the patient’s seizure. The pulse rate remained elevated until administration of the diltiazem in the field. Once the patient’s onset time for his atrial fibrillation was established as 3 hours before ED presentation, he was considered a candidate for rhythm conversion. The doctors point out that most consumer-grade activity monitors measure only pulse rate, and don’t differentiate between types of arrhythmias. In this case, though, that was enough information to affect treatment decisions and possibly overall outcome. As they are now, and certainly as they get more sophisticated, fitness trackers will almost inevitably be used in these types of situations again. It’s a good example of why it’s so important for health wearables to give accurate readings. Just three months ago, Fitbit customers in three states filed a lawsuit against the company alleging that two Fitbit models (including the one the 42-year-old seizure patient was wearing) don’t give accurate heart rate readings. Things seem to have worked out at Our Lady of Lourdes, but faulty data could have endangered the patient. It’s not all calorie counting and step goals anymore.